"Vajon Isten nyúl le az égből, hogy csavarjon egy kicsit a busz kerekén, és végignézze, ahogy átrobog a korláton? Vajon piros ceruzával rajzolja elő a tornádó útját a térképen?" 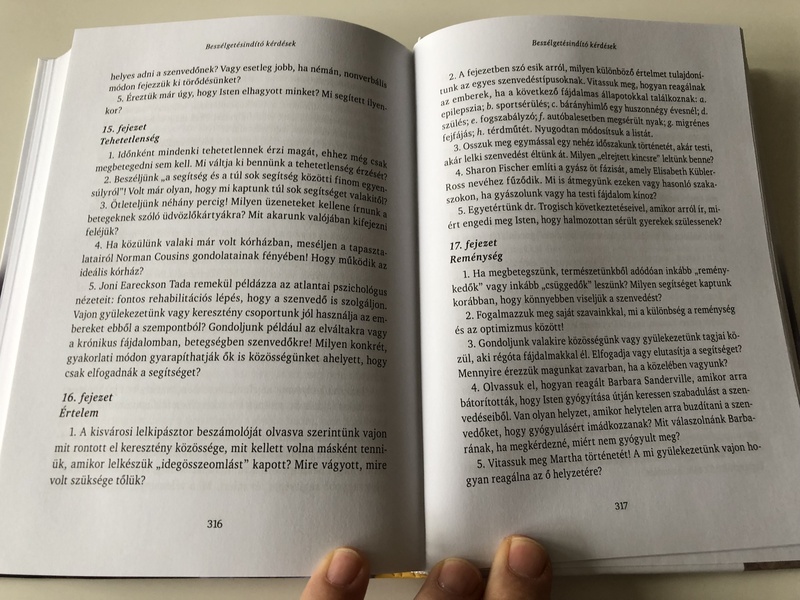 A szenvedés, a fájdalom kikerülhetetlensége számtalan kérdést vet fel, melyekre a szerző őszintén, a hívő ember nehézségeivel is szembenézve igyekszik feleletet adni. A Biblia és a közvetlen emberi tapasztalat bölcsességét, a tudomány és a hit meglátásait egyaránt felhasználja, hogy beavasson a földi élet árnyékos oldalának misztériumába, mindvégig a megrendülés és a remény útjain vezetve az olvasót. About the Author: Yancey was born in Atlanta, Georgia. When Yancey was one year old, his father, stricken with polio, died after his church elders suggested he go off life support in faith that God would heal him. This was one of the reasons he had lost his faith at one point of time. Yancey earned his MA with highest honors from the graduate school of Wheaton College. His two graduate degrees in Communications and English were earned from Wheaton College Graduate School and the University of Chicago. Yancey moved to Chicago, Illinois, and in 1971 joined the staff of Campus Life magazine-a sister publication of Christianity Today directed towards high school and college students-where he served as editor for eight years. Yancey was for many years an editor for Christianity Today and wrote articles for Reader's Digest, The Saturday Evening Post, Publishers Weekly, Chicago Tribune Magazine, Eternity, Moody Monthly, and National Wildlife, among others. He now lives in Colorado, working as a columnist and editor-at-large for Christianity Today. He is a member of the editorial board of Books & Culture, another magazine affiliated with Christianity Today, and travels around the world for speaking engagements. Yancey was critically injured in a motor vehicle accident in February 2007 but recovered well. Csalódás Istenben by PHILIP YANCEY - HUNGARIAN TRANSLATION OF Disappointment With God: Three Questions No One Asks Aloud / He poses three questions that Christians wonder but seldom ask aloud: Is God unfair? Is he silent? Is he hidden? 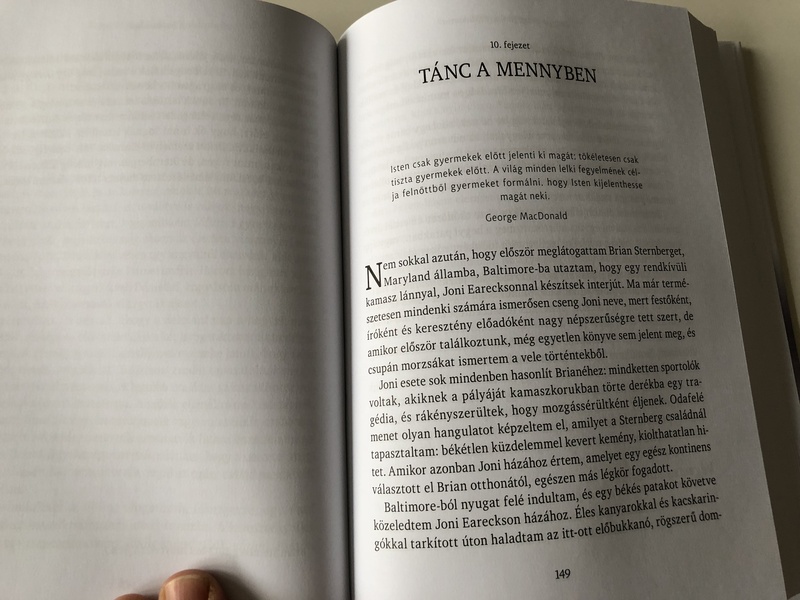 Az imádság by PHILIP YANCEY - HUNGARIAN TRANSLATION OF Prayer: Does It Make Any Difference? / Philip Yancey explores the intimate place where God and humans meet in Prayer. Click the button below to add the Hol van Isten amikor fáj? / Where is God When It Hurts? 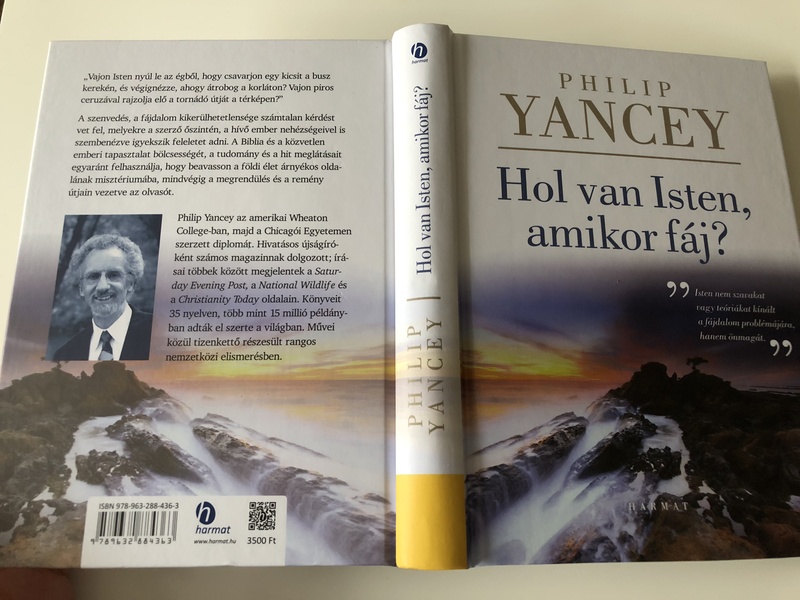 in Hungarian language / Philip Yancey / Harmat Kiadó 2018 to your wish list.